Computers are changing. Soon the silicon chip will seem like a clunky antique amid the bounty of more exotic processes on offer. Robots are changing, too; material evolution and swarm intelligence are creating a new generation of devices that will diverge and disperse into a balanced ecosystem of humans and robjects (robotic objects). Somewhere in between, we humans will have to change also... in the way we interact with technology, the roles we adopt in an increasingly intelligent environment, and how we interface with each other. The driving motors behind many of these changes will be artificial life (A-Life) and unconventional computing. How exactly they will impact our world is still an open question. But in the spirit of collective intelligence, this anthology brings together 38 scientists and authors, working in pairs, to imagine what life (and A-Life) will look like in the year 2070. Every kind of technology is imagined: from lie-detection glasses to military swarmbots, brain-interfacing implants to synthetically grown skyscrapers, revolution-inciting computer games to synthetically engineered haute cuisine. All artificial life is here. Also featuring stories by Dinesh Allirajah, Lucy Caldwell, Claire Dean, Andy Hedgecock, Annie Kirby, Zoe Lambert, Sean O'Brien, K. J. Orr, Joanna Quinn, Sarah Schofield, Margaret Wilkinson, Robin Yassin-Kassab, Adam Roberts, Adam Marek, and Toby Litt. Plus afterwords by scientists J. Mark Bishop, Seth Bullock, James Dyke, Christian Jantzen, Francesco Mondada, James D. O'Shea, Andrew Philippides, Lenka Pitonakova, Steen Rasmussen, Thomas S. Ray, Micah Rosenkind, James Snowdon, Susan Stepney, Germán Terrazas, Andrew Vardy and Alan Winfield. What will life look like in the year 2070? 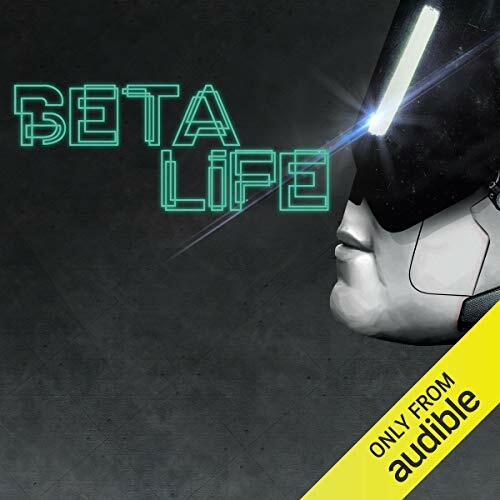 As an Audio Show - free for members - when you add Beta Life to your library, you'll get all 20 episodes, with runtimes varying from 10-60 minutes. ©2014 Comma Press (P)2015 Audible, Ltd.
A series of interesting, entertaining science fiction short stories - each one followed by thought provoking afterwords from experts in the technology that featured in the story. Each episode is a manageable 30 mins each, well-read and intriguing. Highly recommended.